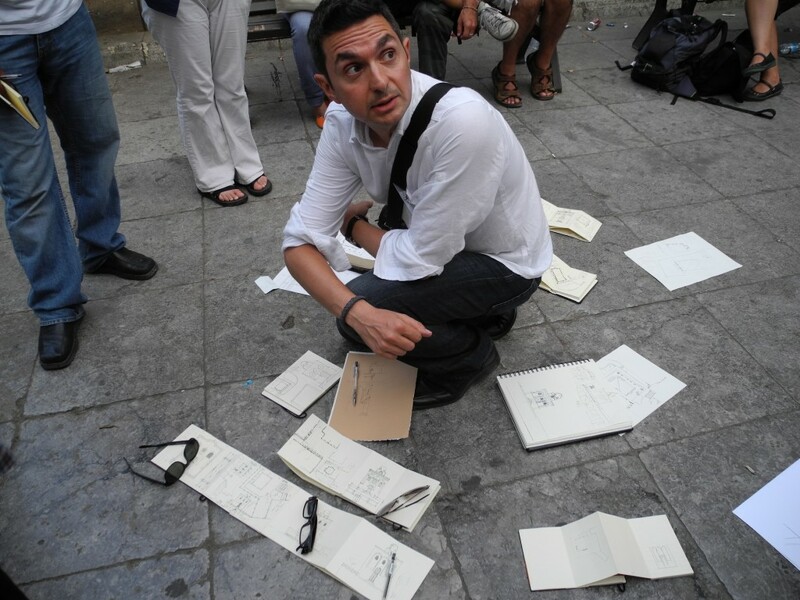 Giuseppe Amoruso is an Italian academic and practitioner, born in 1970 in Brindisi (Salento, Puglia). He studied at the Italian Navy Academy and at the University of Bologna, completing a degree in Civil and Architectural Engineering in 1996. He was awarded a PhD in Architecture in 2001 from the University of Ancona. He is the founder and the chair of INTBAU Italy. Dr Amoruso is currently a Professor at the Politecnico di Milano School of Design, undertaking research and teaching urban and architectural measured drawing, documentation of conservation areas for regeneration. He is Editor in Chief della Advances in Media, Entertainment and Art (AMEA) Book Series (IGI Global Publisher). Since 2005 he has coordinated the University of Bologna’s International Summer School Programmes in Architecture and Urban Design. The programmes so far have included: Rural Landscape & Architectural Quality (2005), Rethinking the City: Projects for a New Urbanism (2006), Drawing the City: Projects for a Contemporary Urbanism (2007), The Invisible cities: Lessons in Drawing for a Sustainable Century (2008), Civitas-Innovation in conservation areas rehabilitation: survey, documentation and design of historical centres (2008), Global Heritage – Local Identity. Challenges in Conservation, Interpretation and Dissemination (with the Sushant School of Art and Architecture of Gurgaon-Delhi, 2011), Drawing the Genius (Politecnico di Milano, 2012), Barcelona programme (University of Waterloo-Canada, 2012, 2013, 2014), Tradition program – Stone architectures of Cisternino (2013) and The Mediterranean Diet Places (2015). Professor Amoruso is also a Visiting Critic of the University of Notre Dame’s Rome Studies Programme and Visiting Professor at the Universidade Catolica Portuguesa. In 2000 he attended the University of Notre Dame’s Summer Programme in Architecture, History and Urban Design, held in London. From 1994 – 1996, he worked with Gabriele Tagliaventi (a member of the INTBAU Committee of Honour) in Bologna and Helmut Peuker in Munich. For a number of years he has also worked closely with Lucien Steil, the Luxembourgish traditional architecture practitioner (and member of the ICTP). Giuseppe Amoruso regularly publishes books, essays and articles. He is specialized also in traditional architecture, undertaking projects in historic areas and sustainable community. In partnership with the Italian Navy, he edited the publication of a series of four books on Italian lighthouses.